While there is nothing more exciting than decorating your home with personal belongings, fancy decorative pieces and expensive artwork, if your goal is to maximize your living space the best way you can, then it is probably a good idea to resort to a minimalistic fashion. 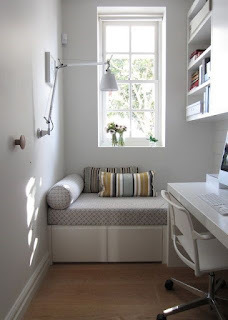 Sometimes less is definitely more, especially in small spaces that get crowded too easily. A cluttered space makes it appear even smaller, that is why it is important to regularly clean your house and cleanse it not only from excess dirt and dust but from unnecessary belongings as well. Your space does not necessarily have to be bigger; it only needs to appear that way. And you can achieve this simply by playing with composition and height in your living space. Vertical lines on wallpapers for instance give an illusion of an elongated space. Also, high bookshelves have the ability to a make a room look bigger than it actually is. Strategically placing certain objects and decorative pieces like shelves, paintings and hanging vases could give you the look you are trying to achieve. The best trick you could use in order to make the most out of your space is to think practically. This will require a bit planning ahead but it will definitely pay off. When purchasing furniture, make sure to look for something that is multipurpose or that can be used in more than one way. Tables and chairs that can easily be folded and transfigured into something more functional are a new trend now. 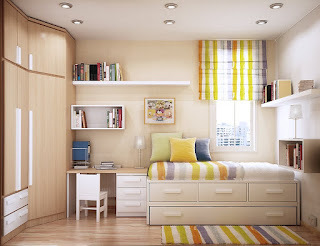 Beds that fold into unassigned wall spaces can save you a lot of space. Also, convertible beds and multipurpose workstations are designed especially to help you maximize your space and keep it clutter-free. Another great innovation that more people are starting to implement into their homes is having built in furniture. Drawers, cabinets and whole closets which are built into the walls are perhaps the best option for tiny spaces. 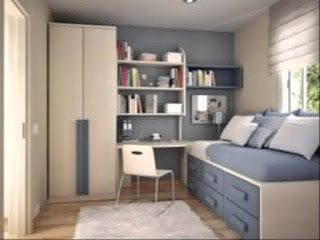 Not only do they maximize the space you have available but they also look quite modern as well. The best thing about this type of refurbishing is that it can be custom made, so you can easily order a full built in furniture set up, that will fit your home just perfectly. Another crucial aspect to consider when designing your home space is to make adequate storage space. Many people underestimate the power of storage and just how much difference can it make, especially in a smaller home. 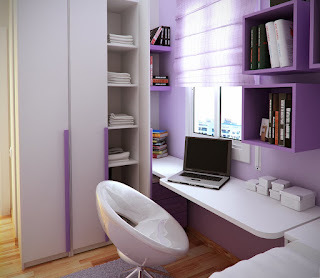 Your storage spaces can be wisely set up, hidden in the pieces of that multipurpose furniture. Another thing to think about is making use of all the space you have for storage purposes. A modern and yet functional bookshelf or a set of highly placed cabinets are also a good way to store your belongings and use your wall space more efficiently. Light is the source of all life but also of ampler spaces as well. If you learn the proper ways to play with illumination you will be one step closer to a bigger living space. Allowing natural light into your home is a great way to add depth and expand your space. That is where simple dividers or see-through sliding doors come in handy. Also, the use of mirrors is a great way to create an illusion of a much ampler space than it really is. There are no small homes; there are only spaces which are not used efficiently. Every living space can be comfortable, spacious and elegant if only you learn the proper ways to handle the space you have available. With just a few tricks up your sleeve, you can transform your home from a prison to a mansion.